I LOVED your class, its got me thinking in a very different way. I've always struggled to show how my illustration and graphic design paths sat side by side, I even kept them quite seperate when it came to my CV. Now this is the perfect way to illustrate all of my skills. 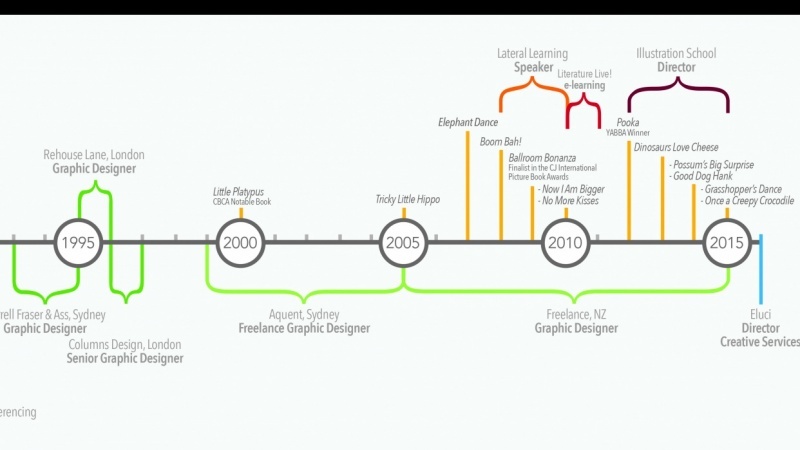 This graph shows my professional timeline from 1993-now. From full time and freelance graphic design, picture book publications, teaching and speaking gigs. I've recently started a new company Eluci, where (hopefully) I'll be combining my illustration and graphic design skill set.